You are a healer, helper, supporter and friend. You find solutions, offer your shoulder and step in when others can’t. You are a nurse, and you care deeply for others and risk your own well-being to see strangers live comfortably. In a room full of other nurses who answered a similar calling, it’s crazy to believe there would be tension, anger or spite. Yet any healthcare professional can probably provide at least a few stories of a time when drama ruined a shift or two. 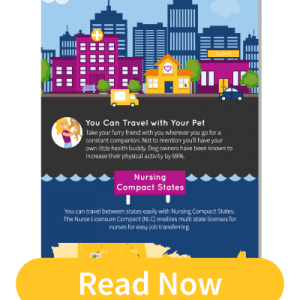 As a professional traveling nurse, where entering a new team or facility is a regular occurrence, mismatched personalities and negative workplace communication can quickly magnify drama. At Freedom Healthcare Staffing, providing the best possible traveling experience for nurses is a top priority. Because of this, we take a “no-drama” approach to nursing assignments. That means we only bring on nurses who share our passion for fair and balanced working environments. We lend an ear to our staff so any issues are heard and addressed in the most reasonable and professional way. Though we work hard to offer an escape from nursing drama, as with any workplace, differences in personality and temperament will always be a very human and realistic possibility. Through our years of working with these situations, we want to offer some words of wisdom when overcoming the challenge of a toxic work environment. Ready to rise above the drama? Read on. Whether the situation involves one person, a group of people or a leader, taking time to formulate a proper response is important. This is actually a great life lesson. We in the healthcare industry are big on acting quick and making decisions without hesitation, which is a great quality when it comes to informed medical procedures. In something emotionally charged, acting too soon can lead to furthering the issue. Instead, take a breath, consider the situation and then make a move. If all you see is red, politely excuse yourself so you can gather your head. As a traveling nurse, you have a team of people devoted to seeing you happy and healthy within your assignments. If something is standing in the way of that, one time occurrence or not, your recruiter will want to know. Always remember you have a support system rallying behind you, especially within our staffing agency. You’ll always have our number and we’ll always have your back. Often, an individual who is treating you poorly is just as willing to treat others in the same manner. Your coworkers might observe the trouble and even share their own experience. Enjoy the ally, sympathize with their situation, but do not fall to the same level as the troublemaker. Gossip and drama are not solved by more gossip and drama. It’s fine to share your feelings, but avoid putting others down and steer the conversation to a more positive light. The good news should be that you’ve found a new friend out of a less than wonderful situation. Those who start drama often have outside forces affecting their decision to hurt others, especially in the case that others have experienced similar treatment from the individual or individuals. It’s hard to remember the problem isn’t you or your actions, because that usually means accepting that a change is out of your control. Fortunately, a good attitude can make a world of difference. In a tense moment, remind yourself the problem isn’t you, think about something great you will do that night and fight the negativity with your own positive outlook. Need a little help staying positive? Remind yourself why you rock with these 7 reasons traveling nurses are unsung heroes! Feel free to separate your personal life from your work life, but don’t go silent while on the floor. Sometimes we associate “rising above the drama” as “remaining silent,” but that can be detrimental to the whole reason you’re here: the patients. Communication among nurses is important to providing the best care to a patient, so isolation isn’t a smart solution to avoiding drama. Instead, remain cordial and professional and let off steam after working hours with a phone call to a good friend or a walk around the city of your new travel assignment. Sorry to hit you with some heavier stuff this week, but our goal is to bring real advice to those who need it. If you’re feeling a little lost in your current facility, reach out to your recruiter right now. If you aren’t working with Freedom Healthcare Staffing, but love the idea of our pledge to No-Drama nursing, join the team! Spread the positivity and share why you decided to become a nurse on our Facebook.